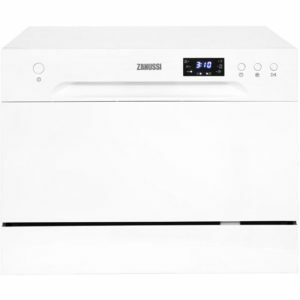 Home Blog Which Table Top Dishwasher Should You Buy? With the convenience that comes with having a dishwasher, it is no wonder that so many people want to have one in their home. While most people will feel that the full size models are ideal, there are also some options for people that do not have the space for one of these larger units. For some homes, it might be possible to accommodate one of the slimline models. They can work just as well as the larger machines, and they can fit 8-10 place settings. But what if you do not have the space for a slimline machine? In that case, you could consider buying a table top dishwasher. These smaller machines can fit right on your kitchen counter or on a table, and they clean dishes just as well as their larger counterparts. Most tabletop dishwashers can fit 6 place settings, so they can hold a decent amount of dishes, and, of course, they are easy to install. You can just place one of these compact dishwashers near the sink, and most will have a quick connect adaptor that hooks up to kitchen faucet. 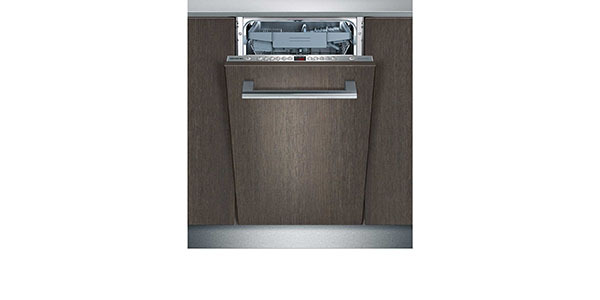 Since it doesn’t have to be plumbed in like other dishwashers, you can set the unit up when you need it, and easily put it away when you are done. 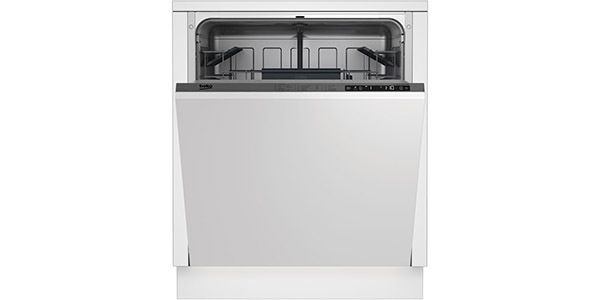 A countertop dishwasher can be a good compromise for homes that the lack the space for the larger units, but you do have to be aware that it can only fit about half as much in per load as a regular size model. This can make one of these compact machines the perfect fit for a home that only has one or two people. It might even work well for a home with more people if they do not use a lot of dishes, but once you get to four people and beyond, you would probably find that you have to run a lot of loads to keep up and it wouldn’t be practical. Running lots of loads to meet the needs of several people will not only take a fair amount of time, it will also be inefficient. While these machines do use less water and electricity per cycle, they do tend to use more water and electricity per place setting. With that being the case, it will be more cost-effective in the longer term to get a larger machine if you have the room. Another point to note (and not in a good way) is the price. Some buyers might think that they are going to save money by buying a cheap table top dishwasher, but they’ll be in for a shock when they head to the store. In most cases, a counter dishwasher will cost just about as much as a full-sized unit. 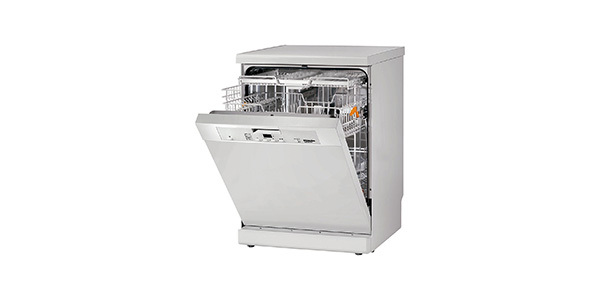 The market for tabletop dishwashers in the UK is much smaller than the market for larger machines. Since the larger machines can be mass-produced on a larger scale, it brings down the cost of production. Even with all of this being true, a small countertop dishwasher will be the right fit for a lot of people. One of the great things about the modern countertop units is that they perform just as well as the larger machines, and you can even find many of the same programs and features. 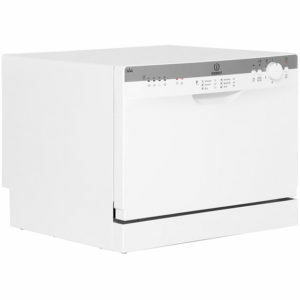 Before moving on to our picks for the best buy table top dishwashers, we would like to consider a few other points. There is more to shopping for one of the machines that knowing that you need one, so let’s take a quick look at some factors to consider before you make a purchase. The early compact appliances were not that versatile, and you could see a big difference compared to the full-sized machines. That is not the way that it is anymore. With the newer tabletop units, you can get many of the programs and features that you would expect from the larger units. Since these dishwashers are smaller, they obviously have less interior room to work with. Consider how well the space is used and the design of the racks. As I mentioned earlier, most of the compact machine hold 6 place settings. Concerning the interior, the important points are the ease with which the machine can be loaded and the versatility of the racks. Below you’ll find some of our top picks with pros and cons of each model listed. You’ll also find a table under each model which compares prices at a range of popular online stores including Argos, Currys, John Lewis, Amazon etc so you’ll know who’s offering the best deal at the moment. 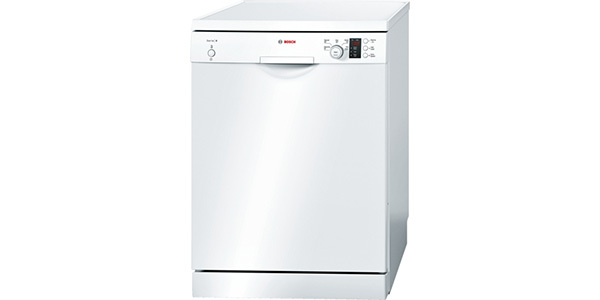 As far as compact dishwashers go, the Bosch Serie 4 SKS62E22EU is one of the most reliable, and it comes with some nice features. You can fit six place settings in the racks, and it is fairly easy to use. The one issue that some people may have is that the bottom rack does not have folding tines, and this could make it hard to load larger items. 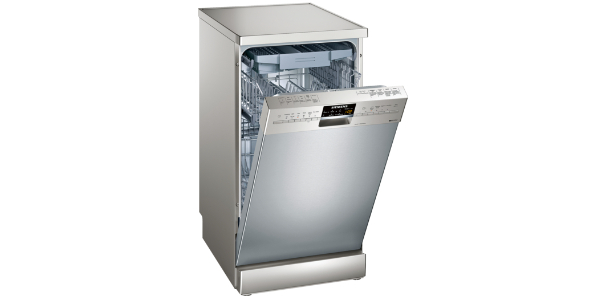 For cleaning performance, this model is a standout among all of the other tabletop dishwashers. It cleans just as well as many of the best full-size machines, and it has a good range of programs. It has sensor washing for your normal program, and beyond that, you also have programs for intensive, eco, delicate, pre-rinse and quick wash. The SKS62E22EU also has the Bosch VarioSpeed time saver, extra dry and a delay timer. In most ways, this dishwasher is easy to use. It has a LED display with a countdown timer, plus it has indictors for salt and rinse aid. It is simple to select the programs and the settings, and it even has auto 3-in-1 detection. For loading things like plates and cups, the machine is pretty easy to load, the one issue with the racks is that you cannot fold down tines to fit things like large pots and pans. Some users may find it easier to wash these things by hand. 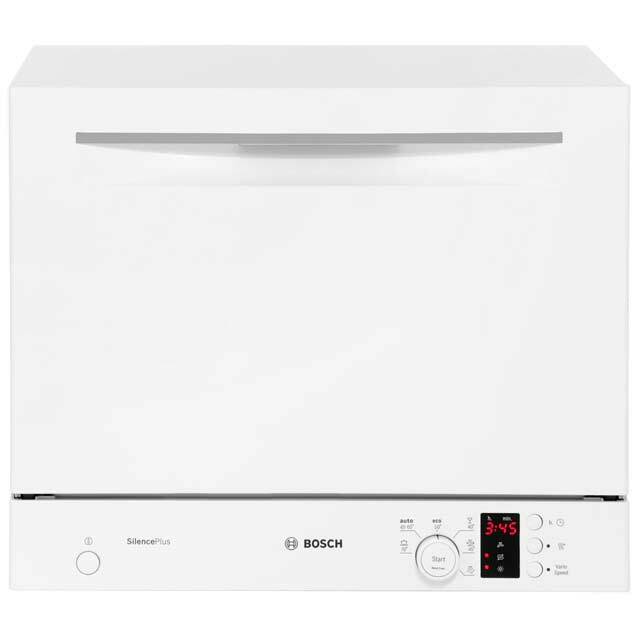 If you’re decided on a compact mode then you can’t go far wrong with this Bosch table top dishwasher but, as we said above, the price may come as a bit of a shock. 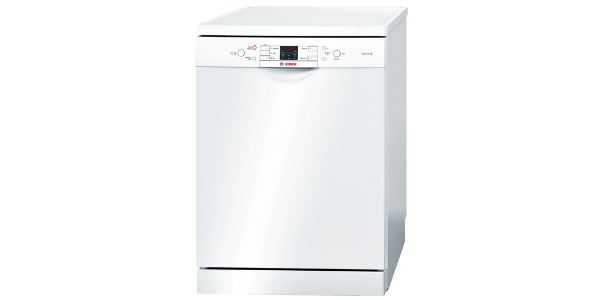 The Indesit ICD661 is a (comparatively) cheap table top dishwasher. This machine provides quality cleaning results in a compact package, and it has all of the basic features that you should need. In addition to that, it has folding plate racks for fitting larger items and it has auto 3-in-1 detection. For its cleaning results and options, there is little room to complain when you look at this model. This machine has six wash settings, providing options like normal, intensive, eco, quick wash, delicates and soak. For the average home, this should be enough. In addition to that, this appliance also has a delay start timer, so you can set it to run later if you need to. 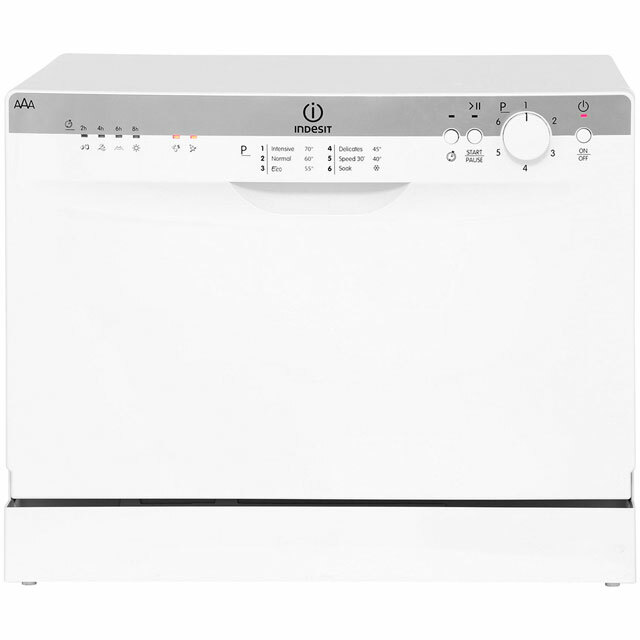 This Indesit tabletop dishwasher is fairly simple to use, so most buyers shouldn’t have a problem getting started. It has a dial for selection programs, and you have a button for the delay timer. It doesn’t have a display, but you do have indicators that show the amount of delay that is set and also if you need to refill the salt or rinse aid. For a compact machine, the racks do offer a good level of versatility, but it does have problems with larger dinner plates. If your plates are little on the large side, the loading process might be a little tricky. 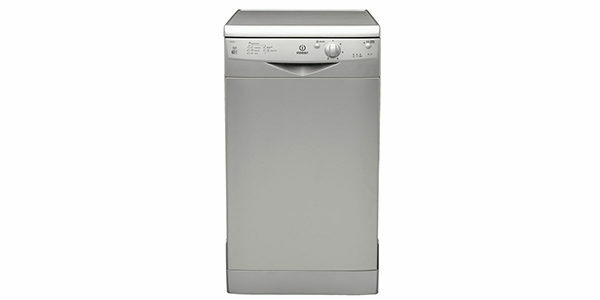 With the Essentials CDWTT15, you have a nice small dishwasher that could work well for homes that are short on space. 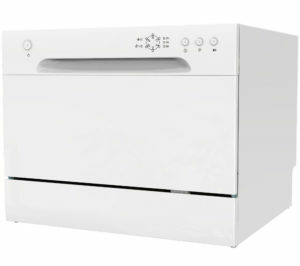 This is a Currys table top dishwasher exclusive, so that is the only place where you can find it, but it is a decent machine that could be worth looking into. This model is a bit lacking in features, but the cleaning results should satisfy most users. You have six cycles for washing dishes, and you can set the machine to start later with the delay start timer. For programs, this machine has a normal wash, 90-minute wash, quick wash, intensive wash, glass and delicate. Getting the machine ready to use is fairly simple. You just push the program button until it gets to the one you want, and then you hit the start button. Loading this machine is fairly simple, but it does run into problems with large dinner plates. If your plates are large, you might have to accept that you are going to fit fewer place settings in. Excellent review thank you. Am shopping for my elderly frail mother. It’s the honesty that I value in your reviews.